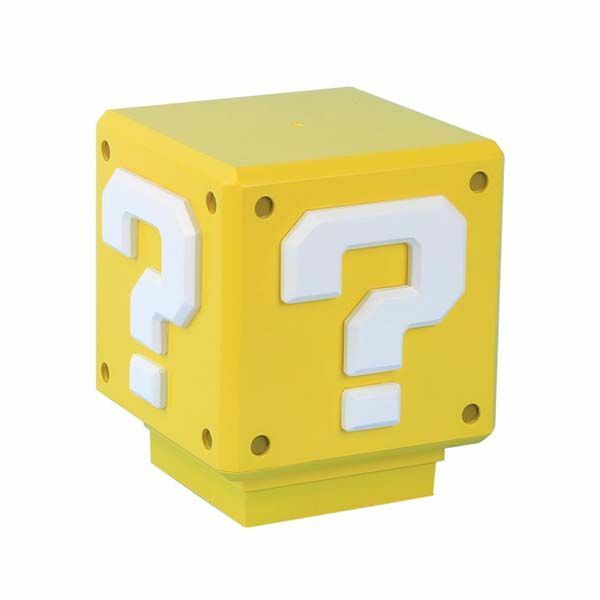 In addition to Question Block money box, the Question Block accent lamp with classic coin sound is another way to add more 8-bit pop culture from Super Mario. Like the idea? Let’s keep checking. This is an officially licensed and well-crafted accent lamp themed by Super Mario Bros, one of the most classic video games. The desk lamp measures 3-1/2 x 3-1/2 x 4-1/4 inches and weighs 7 oz. As we can see from her images, it’s shaped like a Question Block that can provide Mario or Luigi a random powerful item like Fire Flowers, Super Mushroom, or some coins. Meanwhile, the oversized Question Block features beautiful detailing and accurate color scheme from its original look, and compact design allows it to be set on any flat surface in your room like the desk, nightstand and more. The Question Block accent lamp is designed to deliver soft and comfortable illumination and add some nostalgic feel in your room. When turned on or off, the lamp also plays the coin sound from the video game series. In addition, the accent lamp is powered by 3 AAA batteries. 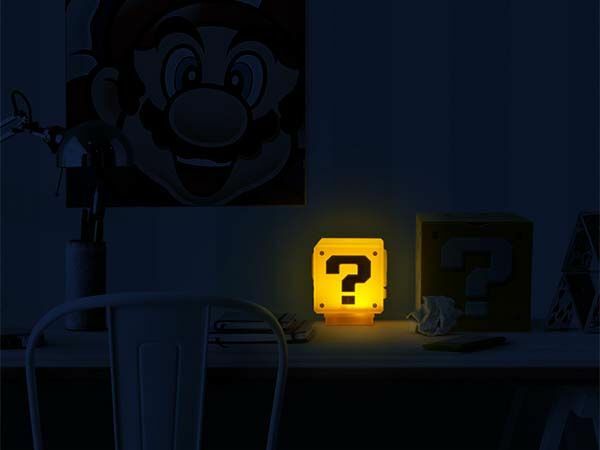 The Super Mario Bros Question Block accent lamp is priced at $14.99 USD. If you’re interested, jump to ThinkGeek for its more details. BTW, don’t miss the Overwatch wall lamp and more cool related gadgets by following tags.